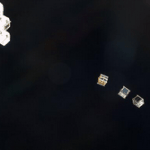 There have been multiple crowdfunding initiatives looking to raise funds for space based technologies or ventures. 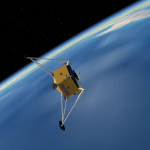 From new propulsion techniques to incredible space telescopes, crowdfunding is being used to finance the exploration of space. 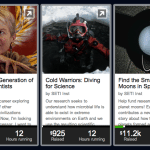 There have been multiple crowdfunding campaigns focused on the red-planet of Mars. 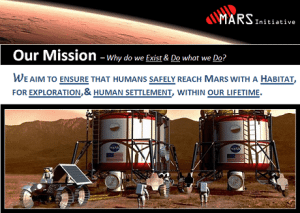 The Mars Initiative (MI) is a non-profit, 501(c)3, organization with a fundraising focus on human missions to the Mars surface. 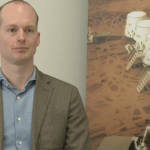 Their purpose is to ensure that humans safely reach Mars, with a habitat, for exploration, and human settlement within our lifetime – and they are raising funds for this objective on their own site. 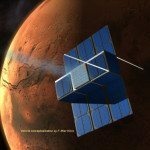 The Mars Initiative has built an online transparent fundraising venue for the “Mars Prize Fund”, which may be thought of as a public savings account for the first successful human Mars mission. They envision that the Mars Prize Fund will encourage the fulfillment of their mission statement by incentivizing the first successful human Mars landing. The entire organization is comprised of volunteers from around the world who donate their time and expertise. 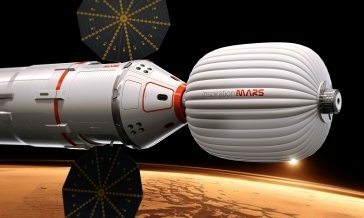 CFI: Who were the founders of the Mars Initiative project? Basset: Mars Initiative was Founded by it’s President, Mina Mukhar, and Co-Founded by Stephen M Bassett, Executive Director, and Gary Stephenson, Technical Director. CFI: How did the concept and creation of organization evolve? Bassett: The idea for Mars Initiative came from Mina Mukhar, our Founding President. As a young boy growing up in Dallas, Texas he often looked up to the moon and the stars and dreamed about human space travel. While studying at university, Mina had the opportunity to hear several live presentations by Dr. Robert Zubrin over an 8 year period. 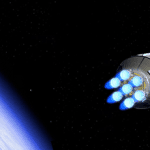 The recurring theme from Dr. Zubrin was that funding a human mission to Mars was one of the biggest hurdles facing us. That message ignited the idea, and Mina decided to start Mars Initiative. From there, we grew our team with people from all walks of life. We have scientists, business people, artists, writers, engineers, and students; from almost any background you can imagine. CFI: How are you marketing or promoting your project? 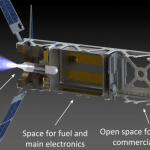 Bassett: Our strategy has been to reach out to space enthusiasts worldwide. We are doing that on two main fronts: through social media, and, what we like to call “boots on the ground”; our global Ambassadors. Our Director of Social Media, Dwayne Lawrence, is doing a wonderful job promoting MI through social networks. We are seeing an engaged community starting to develop and grow, creating “the buzz” around our vision. 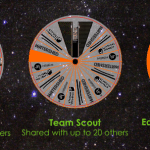 We have Ambassadors in over 10 countries who are representing MI at regional space events, and universities; collaborating with established groups such as The Mars Society, Yuri’s Night, and SpaceUp. We continue to see growing interest, support, and participation for Mars Initiative by people all over the world. We currently have space advocates from over 25 countries. CFI: Do you have have a funding goal? 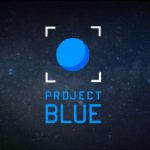 Do you have a time frame associated with the project? Bassett: One of our primary reasons for establishing Mars Initiative, was to create an avenue for anyone to participate, and feel like they are personally involved with making a human Mars mission possible. Our goal is that one million people will subscribe to at least $2.00 per month. For those who want to contribute on a yearly basis, or make a one-time donation, we’ve made those options available as well. If one million people donate just $2.00 per month, and we add in the other donation options, that compounds financially to a very sizeable prize over the next 15 to 20 years, which is when most scientists are predicting that we could get to Mars successfully. Our goal is “One Million People for a Human Mars Mission”. CFI: If your goal is met, how will you use the funds? CFI: If the goal is not met what will you do with the funds? Bassett: We believe that humans will eventually land successfully on Mars. We don’t have a specific dollar amount that we are striving for. 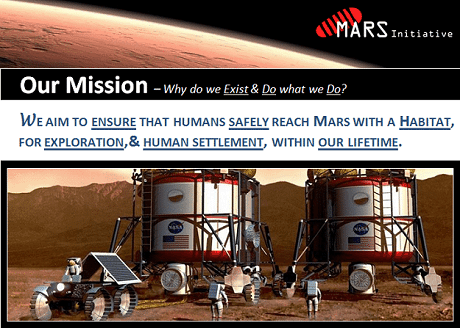 Our aim is to get as many people as we can involved in Mars Initiative. It’s an opportunity for people from every continent to be part of a historic event in human history. The Mars Prize Fund does not have a time limit. We will continue to collaborate, fund, and promote the growth of The Mars Prize Fund. It will be awarded to the first successful mission, be it 20, 30, or 40 years from now. 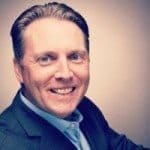 CFI: Have you considered raising funds on another platform? 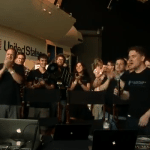 Bassett: Our organization is built around a long-term crowdfunding model, where all the money donated from a supporter will be used entirely toward funding the first successful mission to Mars. We anticipate raising hundreds of millions of dollars over the next 15-20 years, and we believe the best chance for our success is through a subscription-based, continuous influx of monthly donations. So we’ve developed a crowdsourcing platform that it fully aligned with the values, goals, and vision that our supporters are passionate about. 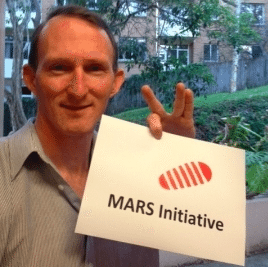 We have a technical group within Mars Initiative, headed by Gary Stephenson, our Technical Director and Co-Founder. 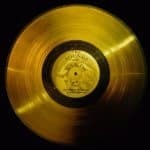 They are working on a very exciting project to study Mars in a unique way, and that venture is likely to be an ideal candidate for a Kickstarter or Indiegogo campaign. We are always open to new ideas and support from individuals or organizations that can offer valuable insight toward better ideas. 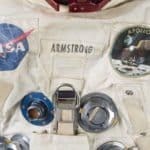 This entry was posted in Featured Headlines, General News, Global, Offerings and tagged dwayne lawrence, gary stephenson, mars initiative, mina mukhar, science, self crowdfunding, space, stephen bassett. Bookmark the permalink.